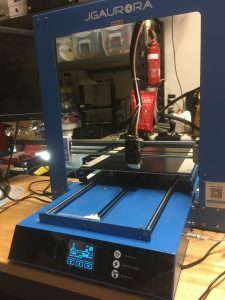 Custom firmware for JGAurora A5S & A1: A 32-bit 3D printer with Marlin 2.0 support! Today, pigs are flying and 太陽從西邊升起 (the sun rises in the West) – or, a 32-bit mess. New Project: Part 2 – The Unofficial JGAurora Forum! Z-603S – Two years on.